What a beautiful story, Aditi and told in his words There are so many like Shinde kaka who work selflessly and honestly, expecting nothing and giving all they have with dedication and a simple philosophy to life. They have no sl called education and yet their simplicity and honesty should humble an of us We the insensitive well-to-do can learn from them It speaks volumes of your attitude to people and your large heartedness that you can see all this amidst your competitive badminton and write about it This is true goodness.God Bless you! Hi, wonder ful story about Aam marathi manus. Sharing such stories based on real people, real experience is a great thing and displays divine personality of an individual. My heartful wishes and blessings are with U for being great human being and a wonderful ambassador of beautiful sports. 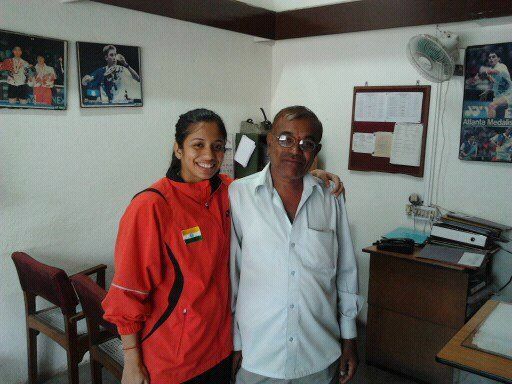 A very well written and touching story….. says as much about you as about Shinde kaka.